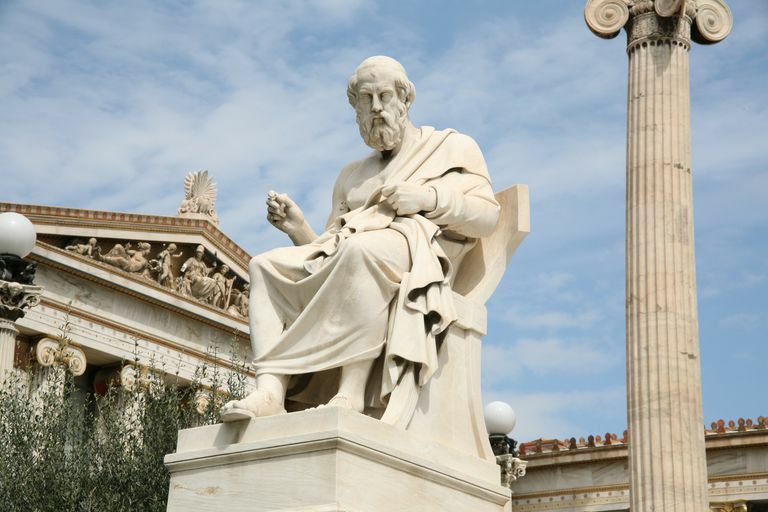 Founded on the philosophy of Plato by Plotinus in the third century, Neoplatonism takes a more religious and mystical approach to the Greek philosopher's ideas. Though it was distinct from more academic studies of Plato during the time, Neoplatonism did not receive this name until the 1800s. Neoplatonism is a system of theological and mystical philosophy founded in the third century by Plotinus (204-270 CE). It was developed by a number of his contemporaries or near contemporaries, including Iamblichus, Porphyry, and Proclus. It is also influenced by a variety of other systems of thought, including Stoicism and Pythagoreanism. The teachings are heavily based on the works of Plato (428-347 BCE), a well-known philosopher in classical Greece. During the Hellenistic period when Plotinus was alive, all who studied Plato would have simply been known as "Platonists." Modern understandings led German scholars in the mid-19th century to create the new word "Neoplatonist." This action separated this system of thought from the one taught by Plato. The primary difference is that Neoplatonists incorporated religious and mystical practices and beliefs into Plato's philosophy. The traditional, non-religious approach was done by those known as "Academic Platonists." Neoplatonism essentially ended around 529 CE after Emperor Justinian (482-525 CE) closed the Platonic Academy, which Plato himself founded in Athens. Writers such as Marsilio Ficino (1433-1492), Giovanni Pico della Mirandola (1463-1494), and Giordano Bruno (1548-1600) revived Neoplatonism during the Renaissance. However, their ideas never really took off in this new age. Ficino -- a philosopher himself -- did Neoplatonism justice in essays such as "Five Questions Concerning the Mind" which laid out its principles. He also revived works by the Greek scholars previously mentioned as well as a person identified only as "Pseudo-Dionysius." The Italian philosopher Pico had more of a free will view on Neoplatonism, which shook up the revival of Plato's ideas. His most famous work is "Oration on the Dignity of Man." Bruno was a prolific writer in his life, publishing some 30 works in total. A priest of the Dominican Order of Roman Catholicism, the writings of the earlier Neoplatonists caught his attention and at some point, he left the priesthood. In the end, Bruno was burned on a pyre on Ash Wednesday of 1600 after accusations of heresy by the Inquisition. While the early Neoplatonists were pagans, many Neoplatonist ideas influenced both mainstream Christian and Gnostic beliefs. Neoplatonist beliefs are centered on the idea of a single supreme source of goodness and being in the universe from which all other things descend. Every iteration of an idea or form becomes less whole and less perfect. Neoplatonists also accept that evil is simply the absence of goodness and perfection. Finally, Neoplatonists support the idea of a world soul, which bridges the divide between the realms of forms and the realms of tangible existence. "Neo-Platonism;" Edward Moore; The Internet Encyclopedia of Philosophy. "Giordano Bruno: Philosopher/Heretic"; Ingrid D. Rowland; The University of Chicago Press; 2008. Do You Know the Four Truths of the Jedi Code? What Does a Religious Apocalypse Really Mean? Can Jedi Teachings Apply to Everyday Life?